UNION, NEW JERSEY, UNITED STATES, October 15, 2018 /EINPresswire.com/ — Dr. Constantine Zois has accomplished a lot in his field (Meteorology) and his life. 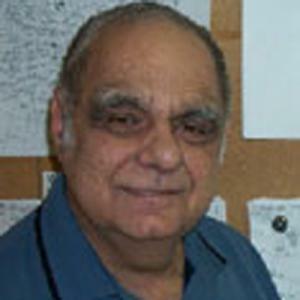 He retired at nearly 80 years old from a career at Kean College that spanned 50 years and included time as an educator (Professor), researcher, Department founder/Chair, and the author of several workbooks, critical papers, a Doctoral Thesis on the Newark Heat Island, and lab manuals. He credits a lot of it to his mother. Dr. Zois’ mom was no scientist, but she was literary, and penned hundreds of poems. She was also an intellectual, who helped stir her son’s inquisitive side, and the owner of a cottage by the water in New Jersey. This is where Dr. Zois first discovered his love of the surrounding climate—the ebb and flow of the ocean, the fluctuations in the temperature, and the moods of the sky, as reflected by the clouds. One of Dr. Zois’ several books is considered a coffee table book, and it’s also the one he dedicated to his daughter, who passed on way too young due to a heart condition. Cloud Anthology (2011) is a collection of stunning photos of the clouds that Constantine Zois took (photography, hiking and fishing are among his hobbies.) 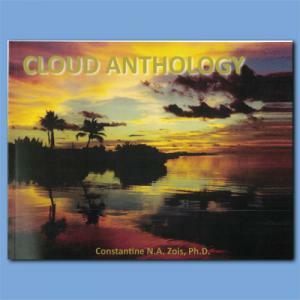 Cloud Anthology could also be considered educational, as the book explains the different types of cloud formations and has been admired by students and teachers as well as the general public. Dr. Zois’ chosen field of Meteorology (the science of the earth’s atmosphere and climate) sprung from his love of Math. He says we don’t realize how intricately math and complex calculations are involved in Meteorology. From his fourth-grade teacher who dwelled on climate and weather, to Mr. Strasberg, a Math teacher at Central High in Newark, many educators helped pique his interest and shape Dr. Zois’ future career. Students, too, are part of learning, the retired professor says, as they make us ponder and do research to resolve their inquiries. Studying Meteorology tells us about the climate, today, tomorrow and in the past, and might be a clue to the climate change issue. Dr. Zois says that climate change is real, and that it is warmer now than 100 or 1,000 years ago. And even a million years ago, when our planet was entirely frozen over and known as Snowball Earth. The temperature will surely continue to shift, Dr. Zois says, but anyone who says they know exactly what will be happening 100 years from now is just whistling in a cave. That expression is typical of the humor that keeps Dr. Zois going. He says being positive, knowing how to laugh, and being smart about risk (e.g. don’t take up skydiving) are some keys to longevity. He is going to share more wisdom and laughs on his radio show. Please join in, as we celebrate Dr. Zois as a scientist, educator, author, hobbyist and all-around great guy.